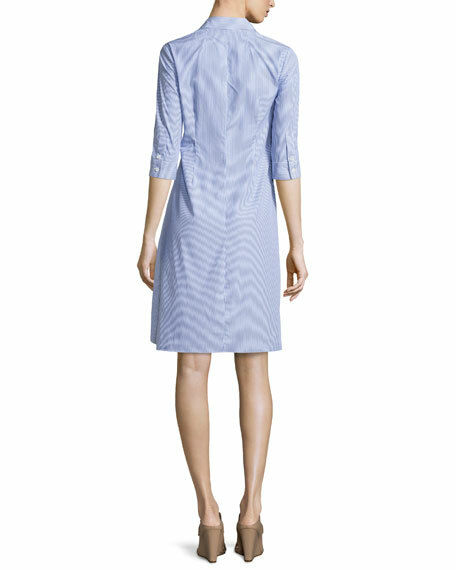 Theory Diaz shirtdress in striped Express poplin. Approx. measurements: 40"L center back to hem, 34"L center front to hem. Gathered and lightly ruffled at left waist. 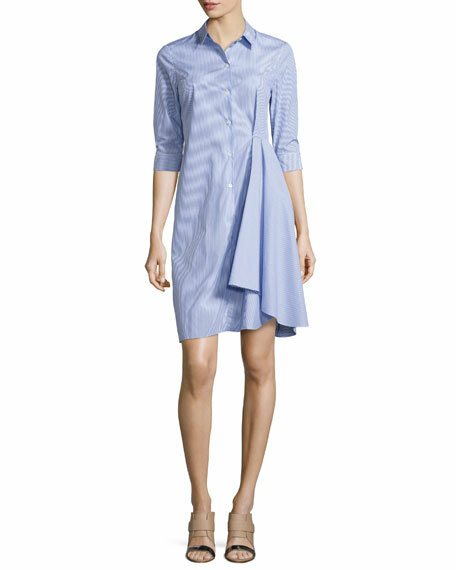 For in-store inquiries, use sku #233581.